OhMyVera! A blog about all things Vera Bradley: Vera Bradley Fall Launch Today! Vera Bradley Fall Launch Today! 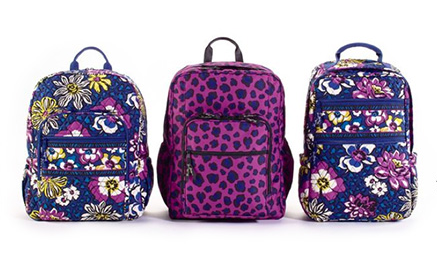 Today is the launch of Vera Bradley's Back to School items! Mostly backpacks and dorm items like the comforters, PJ's and desk stuff. The other items will be out July 17! They also added some of the beach items to the summer sale and summer items are 50% off! AND you can get a free beach towel with a $100 purchase. Lots of good shopping today. Don't forget to use Ebates to get cash back!